Whether you opt to rent a car or arrange for a tour by bus or van, you can’t miss out on a visit to Guam’s south side. 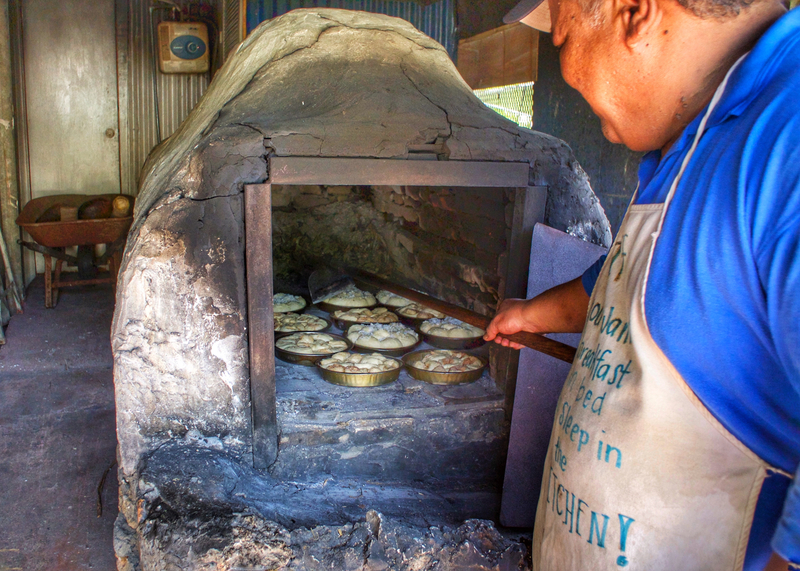 With scenic mountain ranges, stunning ocean vistas and a thriving Chamorro culture, the island’s southern villages offer everything from delicious local cuisine to an inside look at Guam’s unique culture. One of these southern island villages is Inarajan (Chamorro: Inalåhan), and it is considered Guam’s oldest and best-preserved village from the Spanish era. Inarajan’s history predates the island’s discovery by Portuguese explorer Ferdinand Magellan in 1521, and has been listed on the National Register of Historic Places since 1977. There are 17 National Register of Historic sites in Inarajan, and many can be explored on foot. Here are a few highlights. Located along Inarajan’s coastline is the Gef Pa’go Cultural Village, a living cultural museum that is staffed mainly by elder Chamorros who demonstrate and teach visitors the traditional Chamorro arts, crafts and cooking that were widely practiced in the first half of the 20th century. 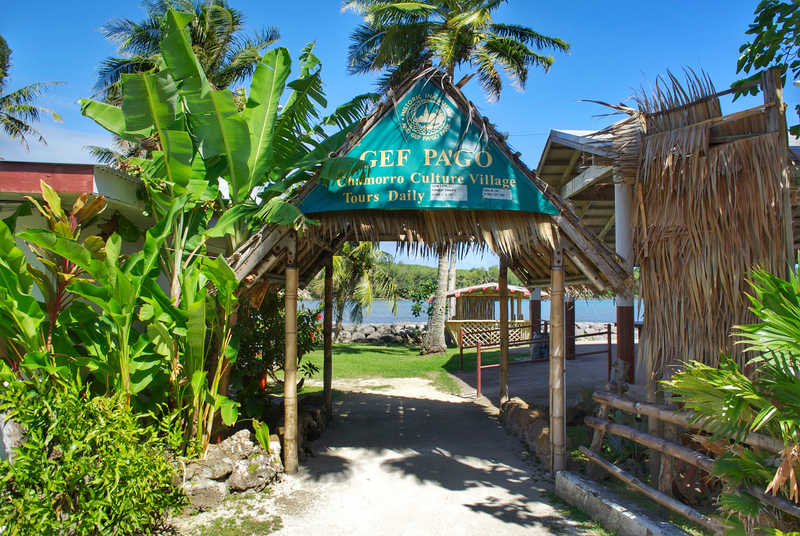 Gef Pa’go is an excellent place for visitors of all ages to see and learn a variety of traditional skills including how to husk coconuts, make coconut candy, and weave and fashion useful items from organic material. With a 4-star average guest rating on TripAdvisor and Google, Gef Pa’go is a Guam must-see and do. One street over from Gef Pa’go, San Jose Avenue is best known for the colorful paintings on the doors and windows of surrounding buildings that illustrate what life in Guam was like in the 1950s. Most of the buildings along San Jose Avenue were built in the early 1900s, including the George Flores Old Store and History Center, which resides in a historic building that was built in 1914. Attached to the history center is a local gem known as the Hotnu Bakery, which features a traditional Spanish-style brick oven that is fueled by wood and bamboo and turns out hot pizzas and sweet breads three days a week. At the end of San Jose Avenue is Saint Joseph Catholic Church. 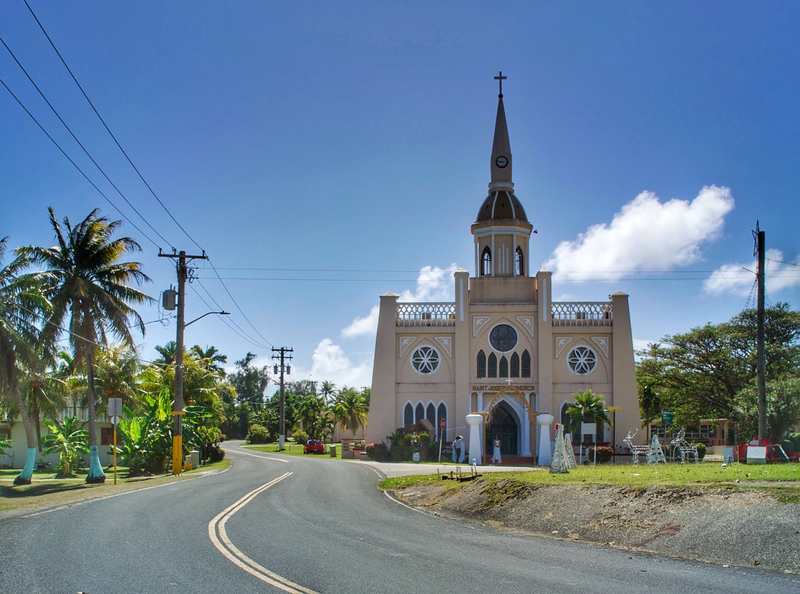 Established by the Spanish in 1680, Saint Joseph has been the center of the village for several hundred years. Buried beneath the church altar are the remains of Father Jesus Baza Dueñas, a martyr who was one of only two Chamorro Catholic priests during World War II. Arrested on suspicion of aiding an American fugitive soldier, Father Dueñas was executed by Japanese soldiers. Guam’s only high school for boys, Father Dueñas Memorial School, is named after him. Other areas of interest in Inarajan include the ancient cave pictographs of the legendary Chief Gadao, who was revered for his strength and lives on in Chamorro folklore. Sitting on the edge of Agfayan Bay further along the coast is a large, natural rock formation that locals call "Bear Rock" because it looks like a great big bear sitting in the sun. Toward the southern side of the village center is Salaglula Pool, a set of natural seawater pools that is a popular spot for swimming.